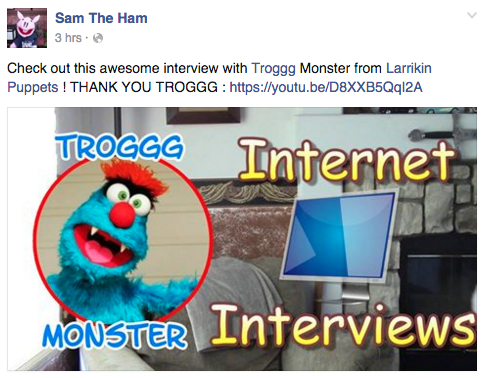 Troggg was recently an international guest on the web series of popular California-based puppet pig, Sam the Ham. Performed by puppeteer Justin Galluccio, Sam the Ham is a pig who is willing to try anything and everything (that people say a pig his size should not be doing, within reason). 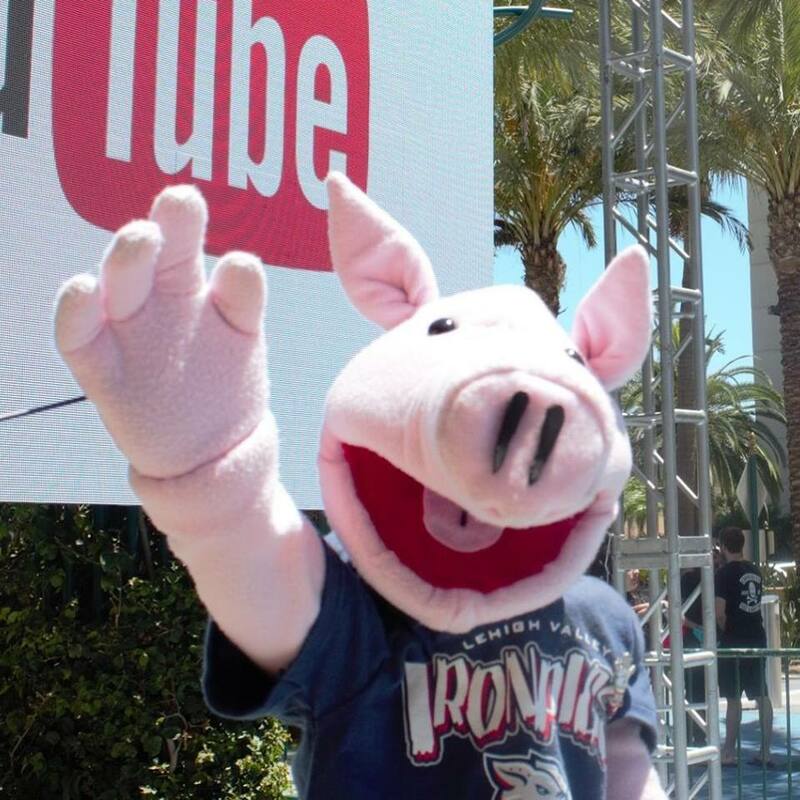 You can find Sam the Ham all over YouTube, Facebook, Twitter and Instagram. This entry was posted in 2016, Australia, Brisbane, California, Film, Larrikin Puppets, Larrikin Puppets News, Pig, Puppeteer, Sam Ham, Sam the Ham, Troggg, TV, USA by Brett. Bookmark the permalink.